I've got another card to share with you today that uses some of the fabulous products from the new Catherine Pooler Sunny with a Side of Sparkle release! You can find the entire release here. Anytime I'm feeling in a creative slump, I always busy out my alcohol inks for a beautiful, low-effort background. 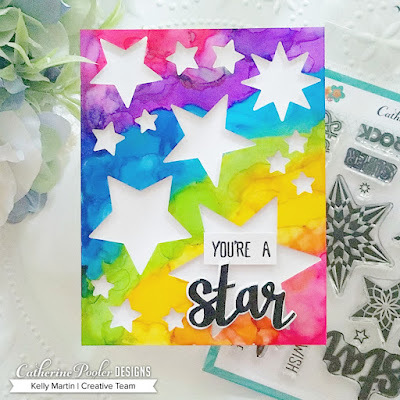 I used my favorite rainbow combination of colors for today's card and then used the Starlight Dies set to cut out star windows in my background. (My favorite rainbow color combination of Alcohol Inks is Flamingo, Sunset Orange, Sunshine Yellow, Limeade, Sailboat Blue, and Purple Twilight). I turned that background over and then put a TON of foam tape on the back before laying it down on to a cut and scored 4.25 x 5.5 inch card base. 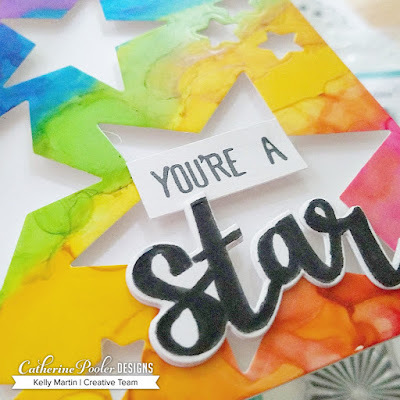 I then used the Starlights stamp set to create the sentiment piece, trimmed it down and also adhered it with foam tape before laying it down on my card. 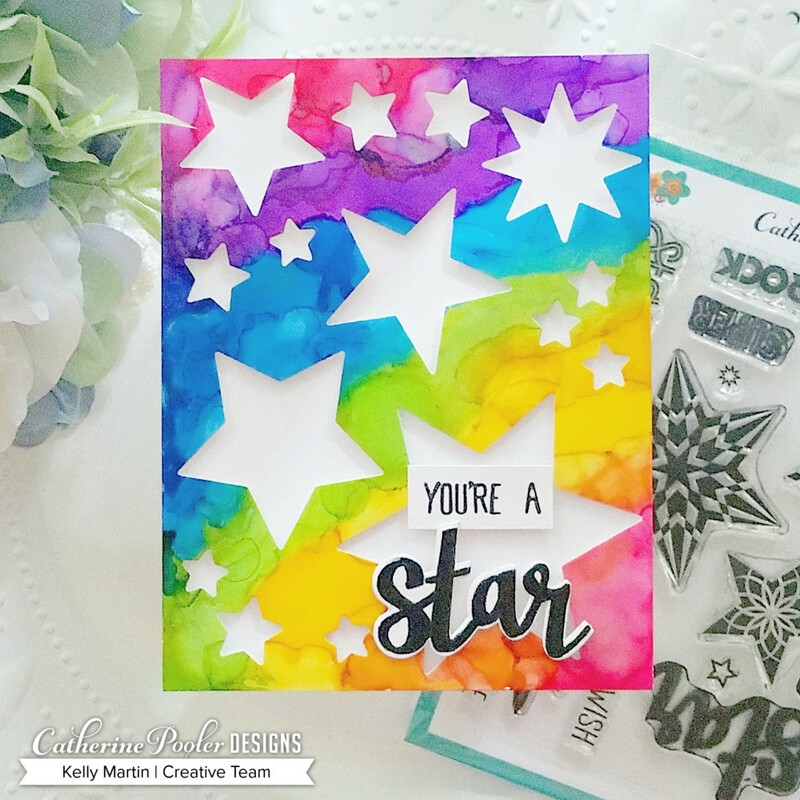 I used the word die from the Starlight Dies set to cut a few white layers of the word, stacked them on top of each other, and then stamped out the "star" word from the stamp set on the top layer. I then glued that stacked sentiment down to the card to finish everything off! Thanks so much for stopping by today, and be sure to check out the new release!